Your Digital Trail: Does The Fourth Amendment Protect Us? : All Tech Considered Could government agents really get access to all your private data in less than a minute? Experts say no but warn we are moving in that direction. In the 2002 movie The Bourne Identity, government agents instantaneously pulled up online data to track the main character. Could this happen in real life? Science-fiction writers have fantasized for years about the government monitoring everything we do. 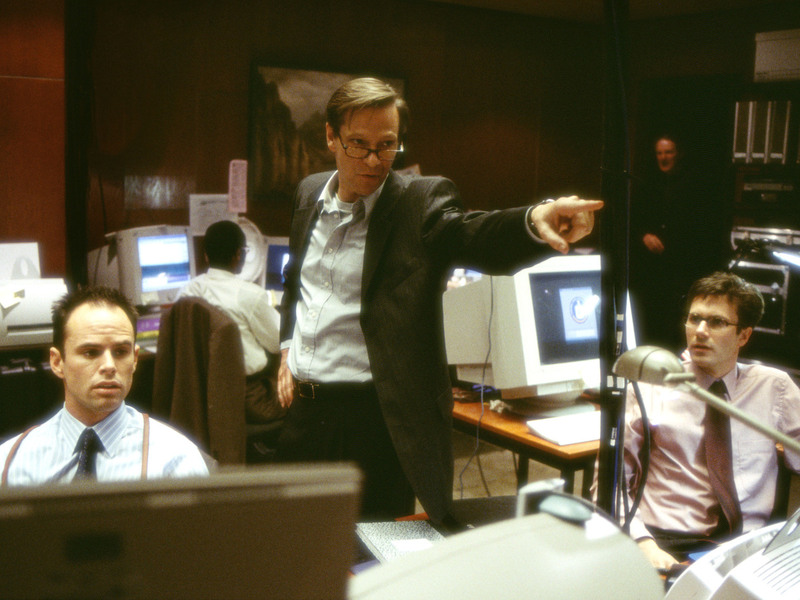 For example, there's a classic scene in the 2002 movie The Bourne Identity, which portrays young government agents glued to computer monitors in a crowded room. In seconds, they are able to track almost everywhere Jason Bourne, the main character, has been and where he's going — his flights, train trips and hotels. One agent gets a photo of Bourne talking to a woman in an alley from a surveillance camera hundreds of miles away. Almost instantly, they identify her, apparently using facial recognition software, and pull up the digital records of her life — including her family biography and her utility bills from three countries. Bankston says there's another reason the government is beginning to obtain digital records faster and faster — if not yet instantly as it does in movies: The laws that regulate the government were written back in the analog age, so the government often doesn't have many legal restraints. 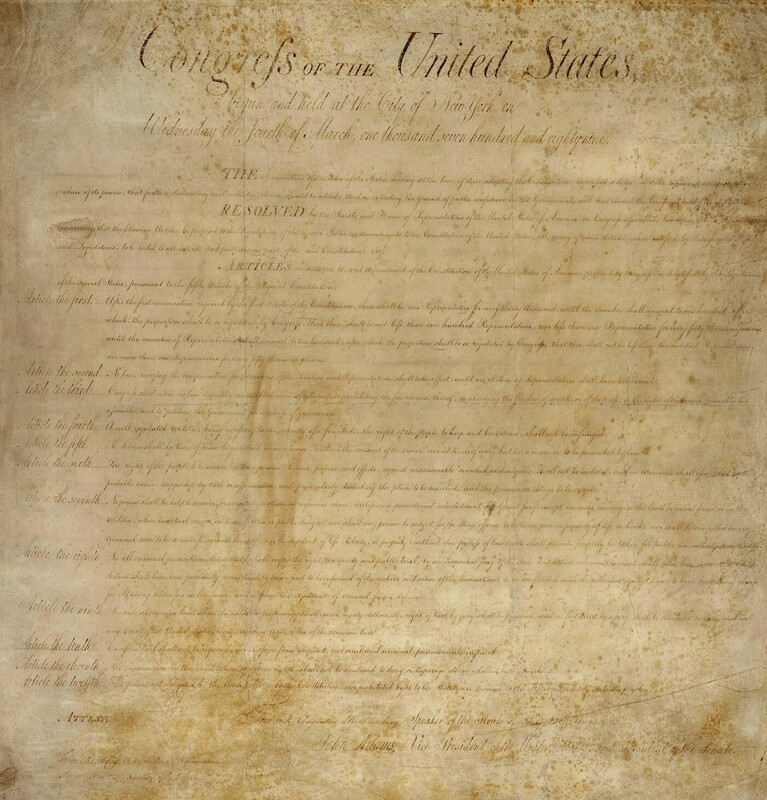 America's founders were not thinking about computers when they wrote the Bill of Rights. 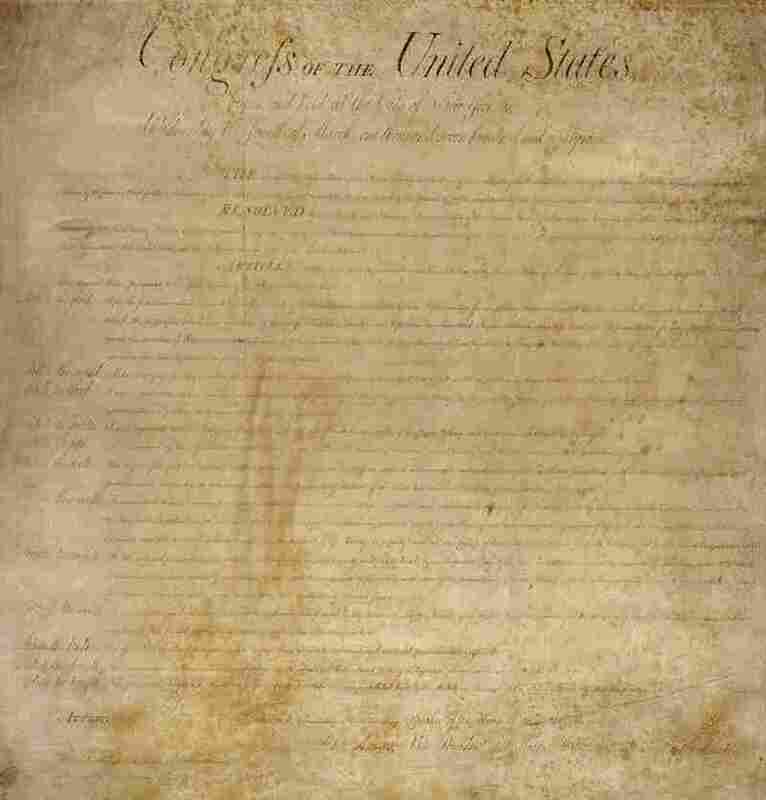 The Bill of Rights as seen at The National Archives in Washington, D.C. Here's why: Let's say the police or FBI wanted to gather intimate details about your life back in the old days — meaning, before computers came along. Whom are you meeting? What are you reading? What are you writing in your diary? What kinds of products have you been buying? Where are you going to travel and where will you stay? In the wake of those court decisions, the digital revolution came along. And many of the most intimate details of your life that you used to protect at home morphed into digital documents — which are stored on someone else's computers. And instead of a search warrant, the police might just need a subpoena — which is "trivially easy to issue," says Bankston of the Center for Democracy and Technology. Law enforcement doesn't need a judge's approval to obtain subpoenas — prosecutors can sign them on their own, as can authorized employees at federal and state agencies. And law enforcement agents don't need evidence that there's likely a crime. They need only to be able to show that the records they want are relevant to an investigation. Has your digital data ever been used against you? The Center for Investigative Reporting and NPR want to know. Meanwhile, a judge in New York City issued a ruling last year that could have huge implications for anything you store online in the cloud. The case involved one of the protesters arrested at an Occupy Wall Street demonstration. When the New York district attorney subpoenaed all the tweets he had written over 3 1/2 months, the protester and his lawyer tried to block it. But the judge said they couldn't, because even though the protester wrote those tweets, he "has no proprietary interests" in them — in other words, he didn't own the tweets; Twitter Inc. did. "Because people now use the cloud to store all kinds of private, personal information — where they travel, where they go, where they go to church, whom they consult with their doctor, what their medical conditions are, what personal private conversations they've had. If they are stored in the cloud, then the person who stored them in the cloud loses the right to object when the government seeks them." The New York ruling represents just one judge's decision, and Stolar is appealing it. But there's a battle over these issues across the country. For instance, some courts have ruled that police can get emails and cellphone logs with just a subpoena, while other courts have said that law enforcement needs probable cause of a crime and a search warrant. Stolar says if the ruling on the Twitter case stands, it could make it even easier for the government to get a detailed portrait of your personal life — with just a subpoena.